Amiga (500, 1000, 2000, CD32, CDTV), Apple (68k, 128k, 512k, SE, MacOS, Plus), Atari (400, 400 XL, 800, 800XL, 130XE, 5200, Falcon, Lynx, ST, others), Amstrad (CPC, Plus, VEB, others), Arcades (many), Colecovision, Commodore (64, 128, VIC20, PET, others), Doom, GameBoys (GB, GBC, GBA), GameGear, Genesis/MegaDrive, Intellivision, Master System, MS DOS, MSX, MSX2, N64, NDS, NeoGeo, NeoGeo Pocket, NeoGeo CD, NES/Famicom, PC Engine/TurboGrafix, PC-FX, PlayStation, PSP, ScummVM, SNES, Wonderswan, Virtual Boy, ZX Spectrum (16k, 48k, 128k, +2, +2A, +3) and more! The 'main' release is the first one.. 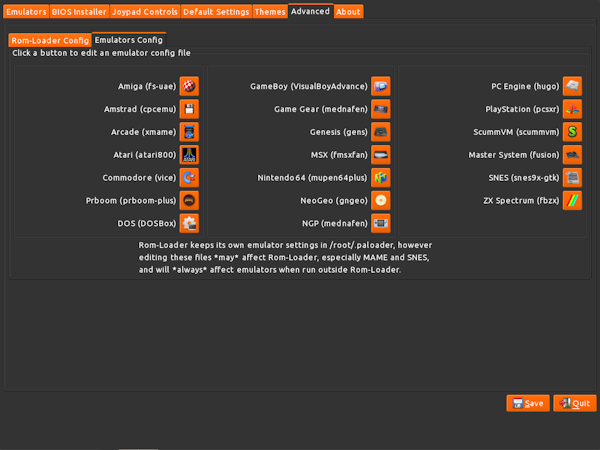 The others are for older hardware or should be considered experimental. Generally do this before creating a save file, as it will work faster, until I update the package manager. Also, BIOS files seem to download (wrongly) to /root after a save file has been created - so go there to install them..
NOTES: for these versions, you must rename the savefile to 'warysave' after it is created. This one needs audio/ALSA fixed! Read the Puppy Arcade 11 README file, it's huge (also included in the download). 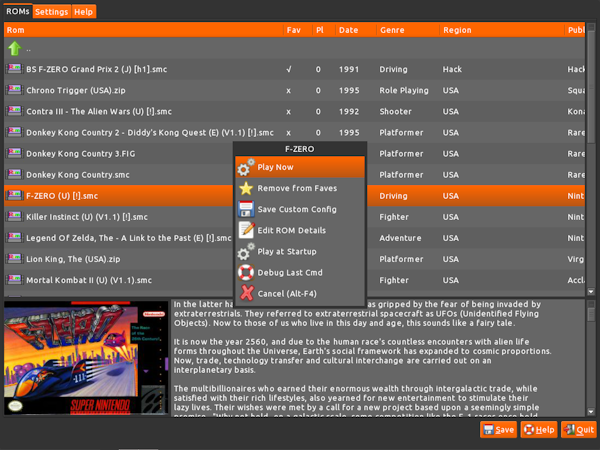 Puppy Arcade is setup to download box art for all ROMs in a folder, as soon as you enter that folder... 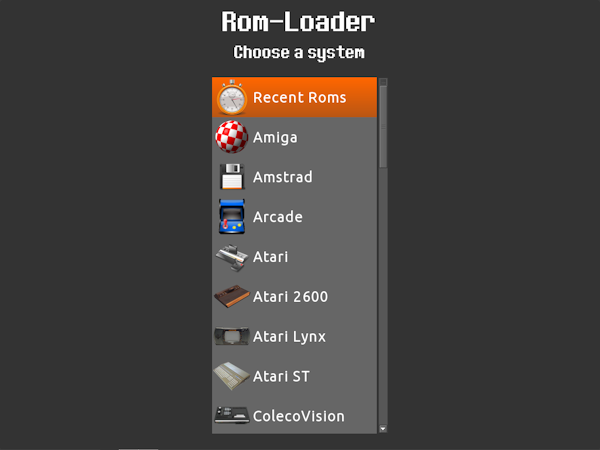 If Rom-Loader freezes after loading the list of roms, you can change the box art download settings in the rom-Loader settings page. 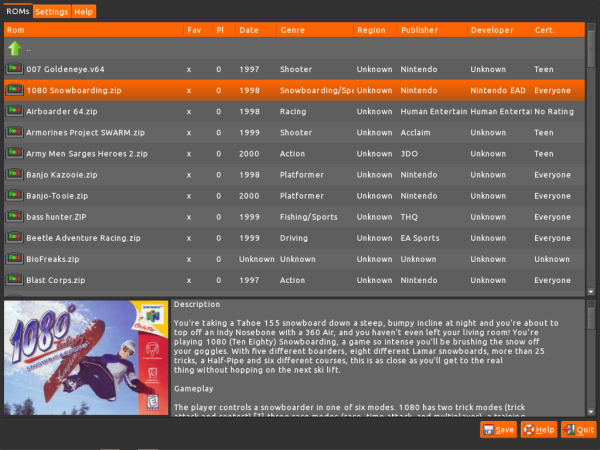 After the rom list has loaded, any missing box art will be downloaded each time you select/highlight a rom. 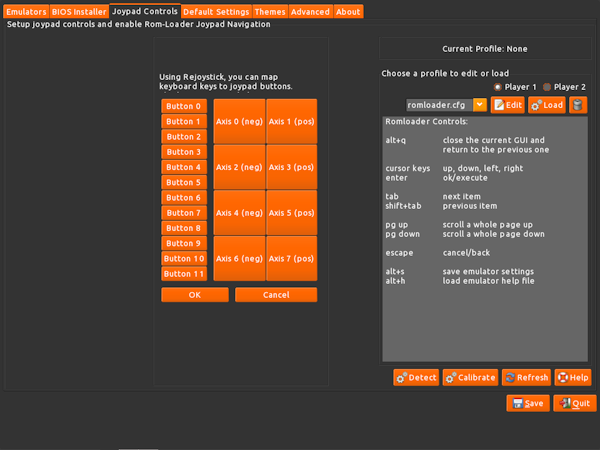 This can be setup through the Rom-Loader settings page.. Read and follow the instructions in the 'Joypad Controls' tab. I started university recently, so I can't work full-time the the moment and I am currently living off my student loans and some cover work - so if you really like Puppy Arcade and use it often, a donation would be much appreciated - it took a lot of time and work to put all the bits together! 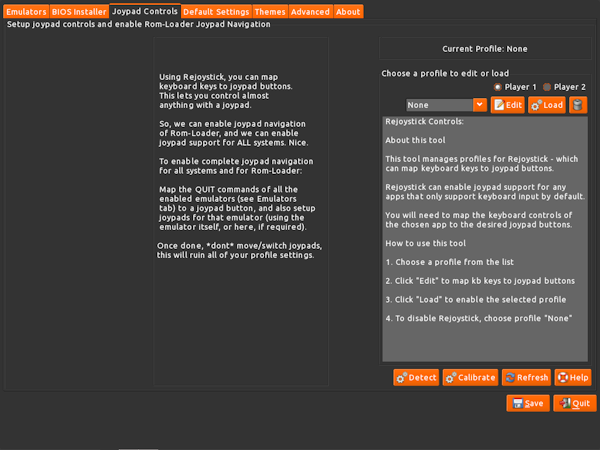 I will support users who need help, but I will not be on the forum much for a few weeks, maybe a month or two.. I have lots of Uni work to catch up on, cos I've been Puppy Arcadin' it instead of doing assignments.. I hope you enjoy falling behind with your work or studies while using Puppy Arcade as much as I have while making it. Hi. This is my first post here so, first of all, Thanks and congratulations for all your work. I've been triying to install this new version since yesterday on my Asus eeepc 900, but alway get stucked on the "Loading Kernell Modules" line. I've readed a lot of other pages that recommend to install typing the "nopcmcia" and thigs like like that but ii doesnt work either. I also downloaded the iso file twice but same results. Any idea someone? I'll do a version with an updated kernel soon ... That should fix it..
Puppy Arcade k2.6.25.16 currently does not support ext4, but that might change in the newer kernel release.. We will see.. 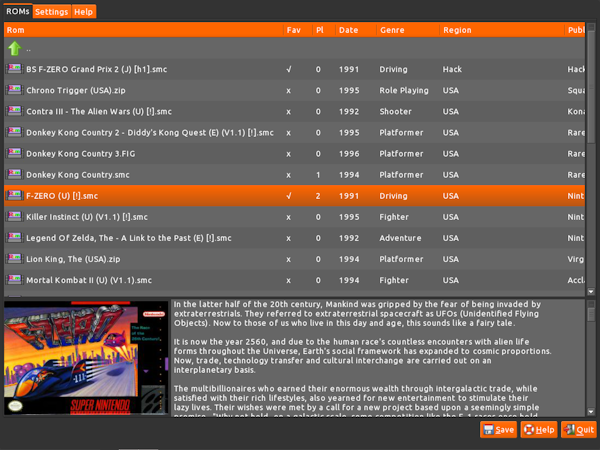 I do mention on the homepage and in the README that Puppy Arcade is aimed at older hardware ... Users of newer hardware can generally run things like GameEx, RomCollectionBrowser, OpenEmu and so on without problems - and these things are much more 'flashy' than Puppy Arcade (but they don't support as many systems 'out of the box').. 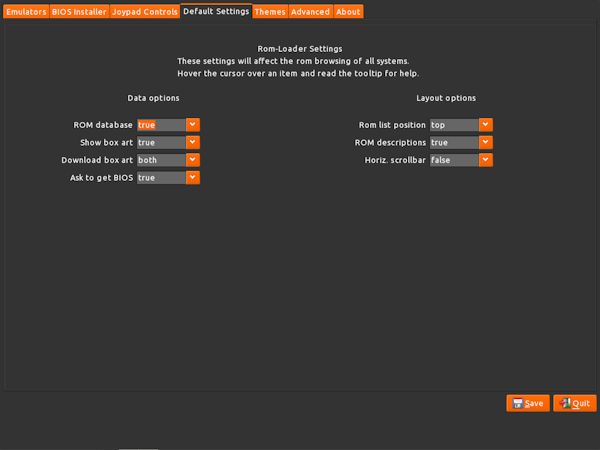 The k2.6.25.16 is aimed at older hardware! Ok, Thank you so much, ill be looking forward to the next releases. At first I thought my hardware was too new for the 2.6.25.16 kernel, but it is just fine. 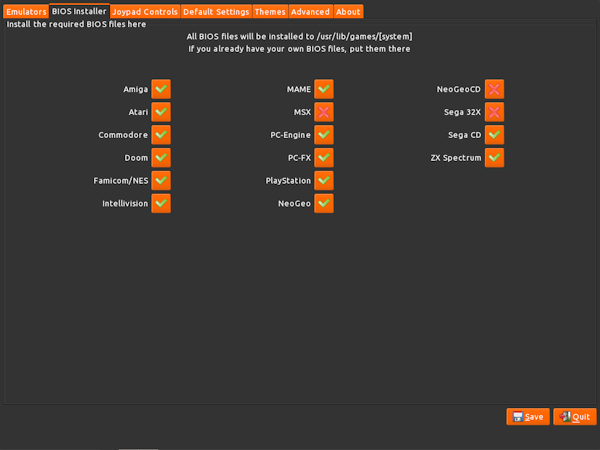 The only thing I am missing is drivers for rt2870-based wifi dongles. Hello and congrats for your work, this look amazing. What about a Raspberry Pi version ? That would be nice, but I don't have a Pi.. And nowhere near enough time to make it happen.. 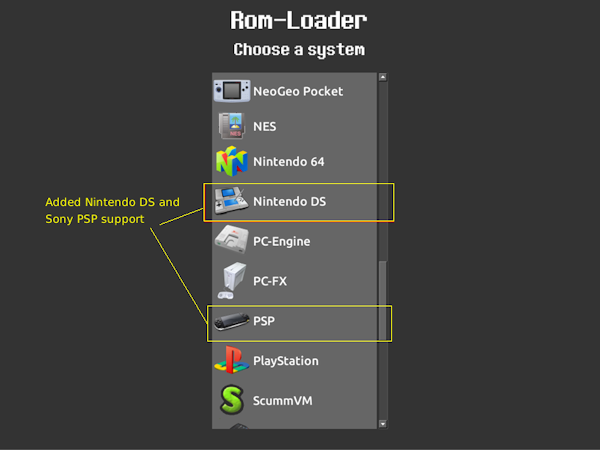 But "Rom-Loader" is the main program - it is just a collection of shell scripts that rely on basic system tools (cut, sed, grep, etc), and also on gtkdialog .. There is a puppy available for the pi, it should be more than possible to get rom-loader working on it - but compiling all the emulators will be a lot of work..
For wifi on puppy, I always use an *old* Belkin USB wifi adapter, it works on all puppies, unlike newer adapters - it's probably me, but I don't have much luck with most other wifi devices/adapters .. But if you mean 3G mobile wifi dongle, then I have no clue how to help... They mostly don't work (well) where I live and so I have no intention of wasting money on one.. I have added two more kernel versions, download links in the main post. These versions will probably need nvidia and ati drivers re-compiled, but there are packages available for these kernel versions in the wary53 repos.. To re-compile them, you will need the latest akita_devx (in the akita repo), and also the kernel sources (should be at ibiblio, or in the quirky/wary repos somewhere). I also built other versions - all of which had the same problem; audio was not working, alsa could not find a mixer device. 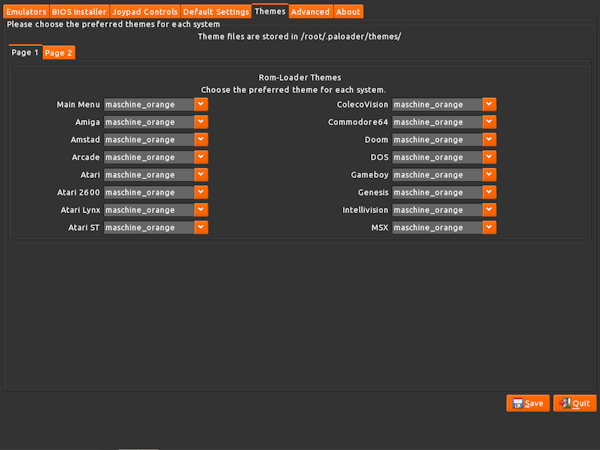 The suggested fix is to re-compile alsa and its 'drivers' .. I don't really know much about alsa at all.. I will upload a k3.2.13 test version, which *does not* have audio.. 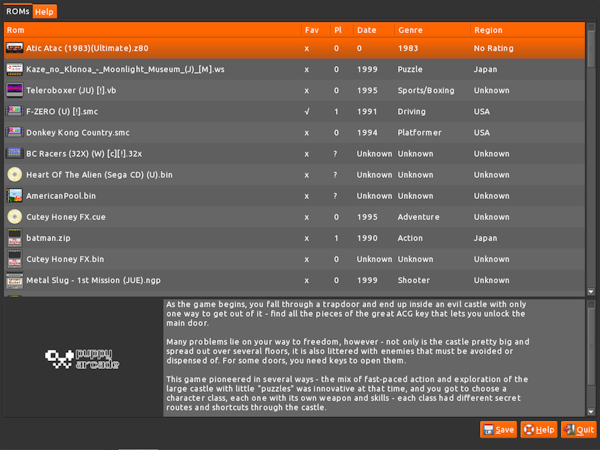 Anyone who knows how to fix it can do so, and post here - I will upload a working k3.2.13 after that.. Isn't there a driver here on the forums? At first I thought my hardware was too new for the 2.6.25.16 kernel, but it is just fine. 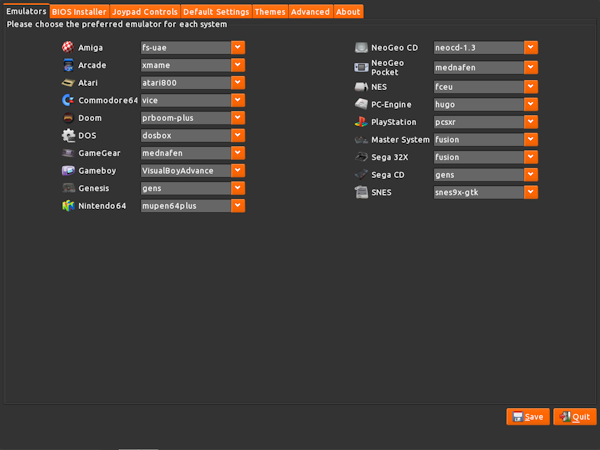 The only thing I am missing is drivers for rt2870-based wifi dongles... Isn't there a driver here on the forums? This one has no sound, ALSA reports no mixer device can be found. and I will add the fixed version to the main post. The kernel is from Carolina, search the 'Derivatives' thread to find it.